Since its inception over two hundred years ago, Swaminarayan Hinduism has flourished into a transnational movement described as one of the fastest growing Hindu groups in the world. Despite being one of the largest and most visible Hindu traditions both in India and the West, surprisingly little is known about what the Swaminarayan fellowship believes. An Introduction to Swaminarayan Hindu Theology provides a comprehensive doctrinal account of the Swaminarayan tradition's belief system, drawing on its rich corpus of theological literature, including the teachings of Swaminarayan himself and classical commentaries on canonical Vedāntic texts. Part I delineates the sources and tools of Swaminarayan Hindu theology, while Part II systematically expounds upon its distinctive five eternal entities - Parabrahman, Akṣarabrahman, māyā, īśvara and jīva - and mukti (spiritual liberation). 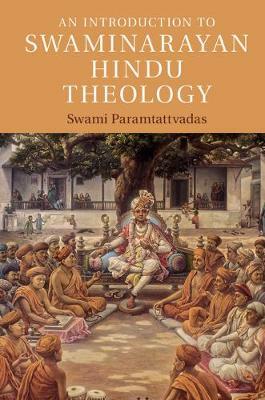 In presenting these key themes theologically and lucidly, Swami Paramtattvadas makes the Swaminarayan Hindu belief system intelligible to scholars, students and serious readers.